Flagship and Affordable are two words, not often heard together. But, Xiaomi has made it possible once again, at least we hope so! 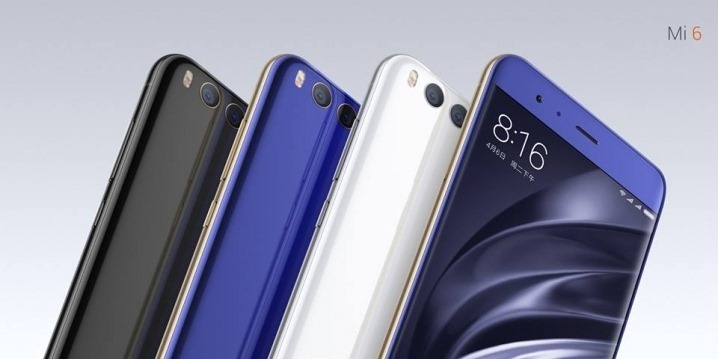 The Xiaomi Mi 6 is less expected to be priced less than half compared to the other flagships – Galaxy S8, LG G6, Sony Xperia XZ Premium or HTC U11. Most importantly, it will be significantly cheaper than Oneplus 5 as well, which will be launching in next 10 days! And MI 6 boasts of the same specs as the flagships mentioned above! 1 The Best Looking Phone from Xiaomi? The Best Looking Phone from Xiaomi? The Xiaomi Mi 6 is a mix of the Mi5 and Mi5s. 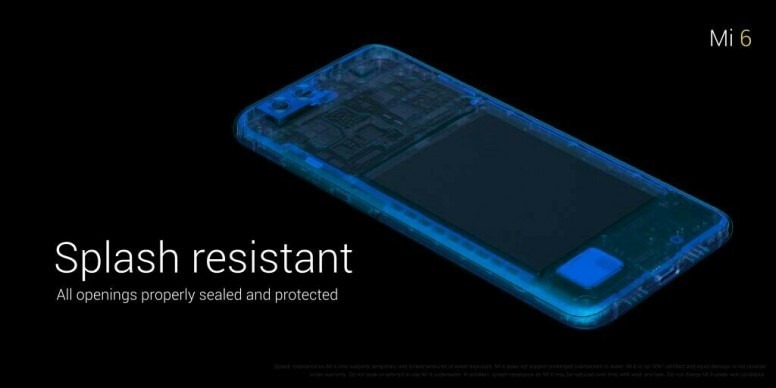 Mi 6 shares a glass body on both front and back with a metal frame in between. When you hold the handset, Mi 6 feels like a sleek shiny surface, designed the right way (don’t mistake it for the iPhone 7 Jet Black). The glass-metal is well polished, so it doesn’t slip out, and feels ultra premium. The Mi 6 clocks in a smaller 5.15-inch screen where the today’s world is glitched to the 5.5-inch screens, might look a little odd, but the size suits in perfect. It’ slim, smooth and with the perfectly chamfered edges, it is comfortable and easy-to-be-used by one hand. The Mi 6 didn’t get the Quad HD update, but the Full HD 1920×1080 resolution (with the density 428 ppi) is more than decent. The display is vibrant with fantastic contrast, right amounts of colours and great viewing angles. With a 3350 mAh battery, the Full HD Display can help the battery to drain slow compared to a Quad HD (a Big Plus). Something you might not have seen in any of the devices before coming from the Chinese Giant Xiaomi. Mi 6 can spare splashes but hasn’t got IP68 waterproofing. I don’t know, what has gone wrong with the smartphone makers around the world. Apple does it, so now everyone needs to follow the trend. Xiaomi is the latest manufacturer to join the drop-the-headphone-jack bandwagon. As Apple gave a headphone USB C Headphone adaptor in the box, Xiaomi is doing it too (They are called China’s Apple for a reason). If you are done with the headphone, the built-in audio isn’t that bad. Actually, the output is well above average. Thanks to the pair of stereo speakers, it’s loud and clear enough. With the octa-core Qualcomm Snapdragon 835 and 6GB of RAM, it will face direct competition from the upcoming OnePlus 5, which too is rumoured to have the same specs. But, Mi 6 fared extraordinarily well compared to other flagships. On the Geekbench 4 benchmark test, the device scored 6472 points in the multi-core test and 1940 points in the single core test. 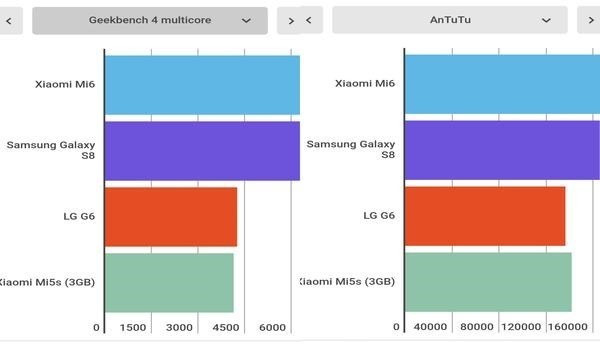 Mi 6 notched up a mammoth 170,709 points in the AnTuTu benchmark test. Mi 6 stocks in two 12 MP cameras on the back, one with the wide angle f/1.8 lens and the other camera has got a telephoto lens with f/2.6 aperture. With options of 10x digital zoom, 2x optical zoom and four axis OIS, the rear camera has PDAF and can shoot videos in 4K. The images come out crisp and punchy and are well exposed with right amounts of colours and details. The front has got a 8MP shooter and captures decent clicks. The Mi 6 will run Android 6.0 Marshmallow (the worst part), though you will get the Nougat and Android O updates soon (expected within the next few months). With some minor changes in the app tray and Settings menu, things remain almost the same. Though the multitasking has improved with enhanced RAM management. So, if you are looking at OnePlus 5, I think it will be better if you can wait for MI 6 launch and then make your decision! Here is a video of Oneplus 5, the competitor of MI 6, from our Youtube Channel. If you like it, make sure you subscribe to us! 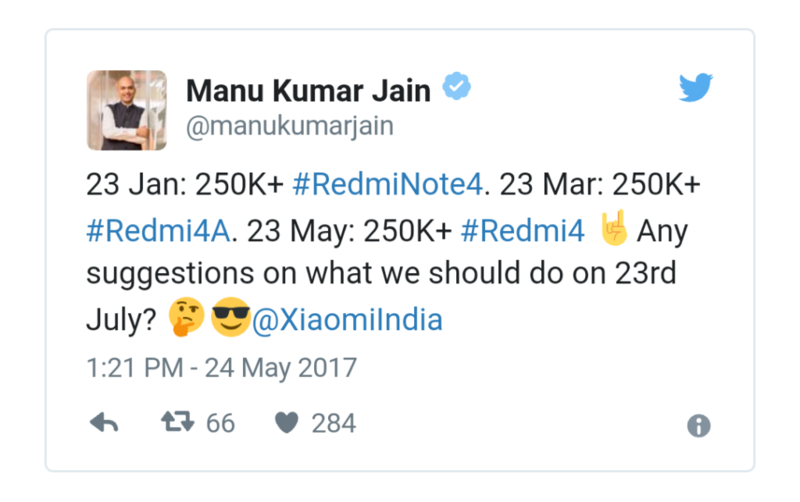 "Xiaomi MI 6, The Oneplus 5 Competitor, Hitting India in July; Price, Specs, Launch Date & More...", 4 out of 5 based on 13 ratings. Mi Max 2, but not Mi 6 that is going to be launched. Really waiting for Mi6 Launch in India. It’s been really long.